The Financial Regulatory Observer regularly sets spotlights on selected topics driving the regulatory and technological changes in the financial industry. 2018 will be a year of change, challenges and opportunities for banks and financial services providers. European financial regulation will take a big leap forward in 2018. The implementation of MiFID II and PSD II will change the legal framework for investment services and electronic payments. Further big revisions to EU banking legislation will drive the European regulatory architecture. Digitalization will become more and more influential and will lead to substantial changes both in the infrastructure of banks and the competitive environment. Investors in banks will closely monitor the outcome of another iteration of the EU-wide stress test for banks conducted by the European Banking Authority. Also political events, from the Italian parliamentary elections to the Brexit negotiations, will impact the regulatory agenda. After years of negotiation, preparation and delay, the European Markets in Financial Instruments Directive (MiFID II) and its accompanying Regulation (MiFIR) came into force on January 3, 2018. The MiFID II/ MiFIR package essentially aims to enhance investor protection and to increase transparency and integrity in securities trading. The most important changes introduced under MiFID II/MiFIR include reform of trading platforms, the extension of pre- and post-trade transparency obligations, the expansion of reporting duties, a revised regime of conduct of business rules for the provision of investment services and the harmonization of the third-country rules. Although the major implementation steps have been taken in time by most investment firms, the complete rollout of the new rules is still challenging and will keep many banks busy throughout the year. This includes further employee training and dealing with the many questions that have emerged so far in day-to-day operations. For example, MiFIR requires EU investment firms to identify their clients that are legal persons with Legal Entity Identifiers (LEIs) for the purpose of MiFID II reporting. On December 20, 2017, the European Securities and Markets Authority (ESMA) responded to concerns that investment firms were struggling to meet the deadline because of the LEI process by allowing them to continue offering services to customers without an LEI for an interim period and on the condition that before providing such services, the investment firm obtains the necessary documentation from this client to apply for a LEI code on its behalf. Systemic internalizers, defined as firms that match customers' orders internally rather than showing them to the market, must comply with the MiFID II transparency regime only beginning September 1, 2018. It will also be interesting to see whether the impending exit by the UK, Europe's largest financial center, from the EU will result in another adjustment of the MiFID II package. The calls for MiFID III are already getting louder. For payment service providers, the implementation of the Second Payment Services Directive (PSD II) will be at the top of the agenda in 2018. The new rules, for the most part applicable since January 13, 2018, are intended to make electronic payments easier, less expensive and safer for customers. With the introduction of payment initiation services and account information services that force banks to allow third-party service providers access to their customers' accounts, PSD II is a game changer for the industry. Banks will lose their monopoly on the access to bank account customer data and, as a result, entirely new services and business models are evolving. For banks, the implementation of PSD II also means they must establish the interface for data access by the external service providers. However, by putting technology at the heart of their business, banks will be well positioned to embrace the opportunities resulting from the new rules. PSD II is accompanied by several delegated acts, technical standards and guidelines. At the end of 2017, the EU Commission adopted the regulatory technical standards (RTS), further specifying the requirements for strong customer authentication (SCA) as the basis for accessing one's payment account, respectively for making payments online, and the specific requirements for common and secure standards of communication between banks and new payment providers. As the new rules on account access will only be fully applicable 18 months after the date of entry into force of the RTS, there is still some time to make the necessary technical and operational adjustments. The early months of 2018 will also be a busy period for existing payment institutions that are already licensed in accordance with national laws and that are implementing the Payment Services Directive I (PSD I). To maintain their license, they need to notify the competent supervisory authorities and submit additional information. In the wake of the financial crisis, the EU pursued an ambitious reform of the rules governing the supervision of banks to enhance financial stability and to restore market confidence. The new rules adopted in this context are essentially reflected in the new requirements resulting from the Capital Requirements Directive IV and Capital Requirements Regulation (CRD IV/CRR) reform package, such as capital adequacy requirements and liquidity requirements for banks, and the bank resolution framework applying to all European banks—namely the Bank Recovery and Resolution Directive (BRRD) and the Single Resolution Mechanism (SRM). In November 2016, the EU Commission presented proposals aimed at completing the transposition of the remaining open parts of Basel III into EU law and to make certain adjustments to the existing CRD IV/CRR and the bank resolution framework. Some of the new rules were adopted in 2017 and introduced at the beginning of 2018. Other important parts of the reform package will come into force at the start of next year. Work will therefore continue throughout 2018, and it will be interesting to see what the specific outcome will be for the different topics. The Insolvency Hierarchy Directive came into force on December 28, 2017. The aim of this directive is to achieve EU-wide harmonization of the ranking of unsecured debt instruments in the insolvency hierarchy to meet (i) Total Loss Absorbing Capacity (TLAC) requirements for subordinated instruments and (ii) the potential discretionary request by EU resolution authorities to meet minimum for own funds and eligible liabilities (MREL), also with subordinated instruments. By the end of last year, a number of Member States had already amended or been in the process of amending the insolvency ranking of unsecured senior debt under their national insolvency law to facilitate their credit institutions and investment firms to comply with the subordination requirement as provided in CRR and BRRD. However, the national rules adopted so far diverge significantly. All Member States are now required to implement the laws, regulations and administrative provisions necessary to comply with the Insolvency Hierarchy Directive by December 29, 2018. Tri-party negotiations with the European Parliament and the Council regarding the amendments of CRD IV/ CRR will continue in 2018, including the introduction of a binding minimum quota of 3 percent for the Leverage Ratio and a Net Stable Funding Ratio. Among others, the amendments further introduce a new standard procedure for counterparty risks, regulation on market price risks within the so-called Fundamental Review of the Trading Book and additional requirements for the determination of TLAC. Compared with the Basel III accord, greater significance is attached to the issue of proportionality in an attempt to reduce the burden on smaller institutions. These measures provide crucial progress in terms of more standardized disclosure and reporting regulations. Currently, financial holding companies are subject to supervision on a consolidated basis only if they are parent companies of CRR institutions. The proposal of the EU Commission broadens the scope of supervision to licensing requirements and direct supervision. (Mixed) financial holding companies are aimed to be directly responsible for the regulatory compliance at the group level. First and foremost, the license requirements are discussed controversially in the European Council. At the end of September 2017, a working document was published, rejecting a general license requirement for mixed financial holding companies. As per the same document, direct responsibility for the compliance of requirements at the group level should only be provided when the holding company is in a position to exercise significant influence over group decisions. The introduction of CRR II and CRD V is not anticipated prior to 2019. A full implementation of the measures is expected to persist well into 2020. The entry into force of the new international Financial Reporting Standards (IFRS 9) on January 1, 2018 and their effects on financial regulatory provisions is one of the reasons why selected parts of the new rules of CRR II, (i.e., transitional rules mitigating the impact of IFRS 9 on banks' capital requirements), were fast-tracked to the start of this year. IFRS 9 may lead to a sudden significant increase in expected credit loss provisions and consequently to a sudden decrease in institutions' Common Equity Tier 1 capital. The reforms, which seek to restore credibility in the calculation of RWAs and improve comparability of banks’ capital ratios, will be implemented on January 1, 2022. The output floor will be phased in from January 1, 2022 starting at 50 percent, until January 1, 2027 when it will reach 72.5 percent. In addition, at national discretion, supervisors may cap the increase in a bank’s total RWAs resulting from the application of the output floor during its phase-in period. The transitional cap on the increase in RWAs will be set at 25 percent of a bank’s RWAs before the application of the floor. Put differently, if the supervisor uses this discretion, the bank’s RWAs will effectively be capped at 1.25 times the internally calculated RWAs during that time. The cap would apply for the duration of the phase-in period of the output floor (i.e., the cap would be removed on January 1, 2027). Work to transpose the new Basel agreements into EU law has just begun. In October 2017, the European Central Bank (ECB) launched a public consultation on a draft addendum to the ECB guidance on non-performing loans that ended on December 8, 2017. The addendum will reinforce and supplement the guidance by specifying quantitative supervisory expectations concerning the minimum levels of prudential provisions expected for non-performing exposures. The new prudential provisioning expectations were originally supposed to apply to all exposures that are newly classified as non-performing in line with the EBA definition as of January 1, 2018. The addendum is controversial because the measures are intended to ensure compliance by banks with criteria that have not yet been harmonized by the EU legislator. The ECB believes that the proposals can be rewritten so that it is clear that they fall within the scope of the Pillar 2 powers, which allow supervisors to set rules on a case-by-case basis. The ECB hopes to finalize the addendum by the end of the first quarter of 2018 and is currently coordinating its amended draft with the EU Commission. The EU Commission has also started a targeted consultation to gather stakeholders' views on the possible introduction of statutory prudential backstops against insufficient loan loss coverage for new loans that turn non-performing, as well as on the potential functioning, scope, design and calibration of such prudential backstops. The possible introduction of statutory prudential backstops is part of a comprehensive package of measures to address NPLs as announced in its communication on completing the Banking Union and shall be adopted by the spring of 2018. While the ECB guidance will set supervisory expectation and will be non-binding, the EU Commission wants its plans to be adopted as a legal requirement for EU institutions. The proposed European Deposit Insurance Scheme (EDIS), which has been under discussion since 2015, is part of a broader package of measures to deepen economic and monetary union, and marks the final step in bringing full Banking union. Originally, the EU Commission wanted to introduce a fully integrated EU deposit insurance scheme in three steps by 2024, but EDIS was met with scepticism and resistance by the industry and certain Member State governments, especially Germany. Their main concern is that banks will be held liable if peers in other EU Member States get into financial distress. The high levels of non-performing loans in countries such as Greece and Italy are one of the arguments that have been put forward. In October 2017, the European Commission presented a new proposal for a compromise to introduce EDIS in two phases. In the first, EDIS will only be used to ensure the liquidity of national guarantee schemes in emergencies and funds will have to be repaid. After the number of non-performing loans in Europe's bank balance sheets has been further reduced, the second phase will be launched in which EDIS will be used to cover bank losses at the national level. The Commission has urged the Member States to reach an agreement on EDIS this year. In January 2018, the German Government signaled its willingness to compromise and disclosed specific preconditions for the implementation of EDIS: The volume of non-performing loans must be further reduced; insolvency regimes must be harmonized; bail-in buffers must be achieved; and banks must solve the sovereign bonds problem. The Euro-group hopes to agree on a long-term roadmap with specific risk reduction targets by the summer of 2018. In response to various benchmark manipulation scandals in recent years, the EU's Benchmarks Regulation came into force on January 1, 2018. The Benchmarks Regulation introduces a code of conduct for contributors of input data requiring the use of robust methodologies and sufficient and reliable data. The Benchmarks Regulation distinguishes between critical, significant and non-significant benchmarks depending on their importance to the stability of financial markets. Administrators (i.e., providers) of benchmarks must apply for authorization or registration and will be subject to supervision by the competent authority of the country in which they are located. 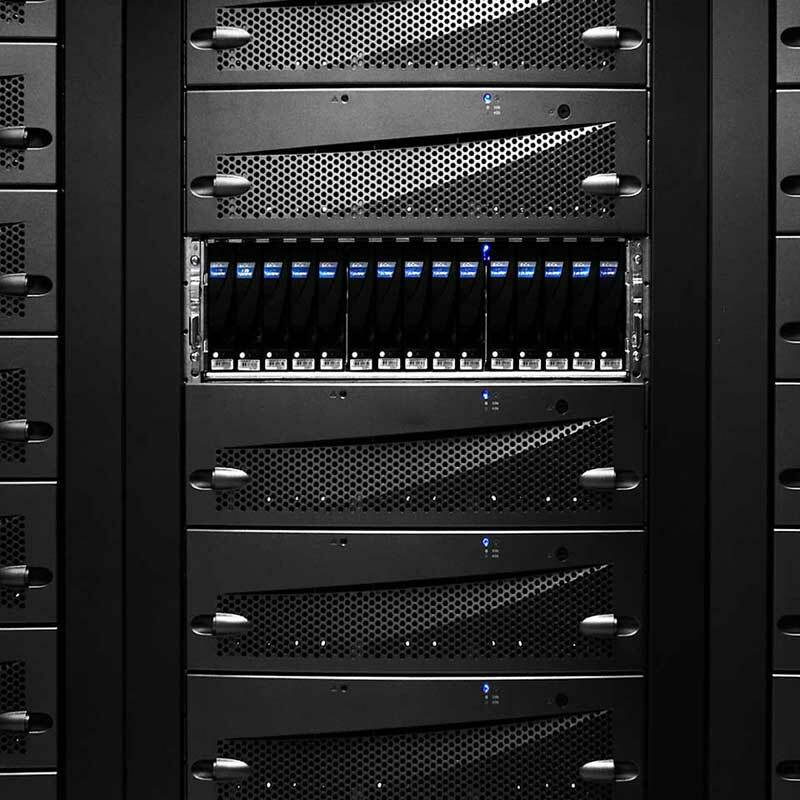 In particular, the Benchmarks Regulation calls for the use of actual transaction input data where possible. But other data may be used if the transaction data is insufficient. The scope of the Benchmarks Regulation is broad. Also, benchmarks deemed to be critical will be subject to stricter rules, including the power for the relevant competent authority to mandate contributions of input data. If an administrator does not comply with the provisions of the Benchmarks Regulation, the competent authority may withdraw or suspend its authorization or registration. Administrators will be required to have in place appropriate governance arrangements and controls to avoid conflicts of interest. The prevention of the use of the financial system for money laundering or terrorist financing will be a top priority for 2018. On the EU level, as part of the European Commission's Action Plan for strengthening the fight against terrorist financing of February 2016, the Anti-Money Laundering Directive (AML) will see another revision, only months after the most recent changes had to be transposed into national laws by July 2017. This fifth revision of the current directive was proposed on July 5, 2016 and is likely to be adopted this year. The revised directive has five priorities: (i) ensuring a high level of safeguards for financial flows from high-risk third countries; (ii) enhancing the powers of EU Financial Intelligence Units and facilitating their cooperation; (iii) ensuring centralized national bank and payment account registers or central data retrieval systems in all Member States; (iv) tackling terrorist financing risks linked to virtual currencies; and (v) tackling risks linked to anonymous pre-paid instruments (e.g., pre-paid cards). The proposal also responds to the Panama Papers revelations of April 2016. An EU-wide stress test of the banking sector by the EBA is also on the agenda for this year. While the procedure will kick off imminently, results will not be published until the beginning of November. The EBA has extended the timeline for the stress test to take into account the implementation of IFRS 9 and the associated challenges regarding the availability of data. The stress test, covering 70 percent of the EU banking sector, will evaluate the ability of banks in the EU to meet relevant supervisory capital ratios during an adverse economic shock. It will be conducted at the highest level of consolidation on a sample of 29 EU banks, which fall under the jurisdiction of the Single Supervisory Mechanism (SSM). In recent years, banks have made impressive progress towards achieving higher capital ratios so that it can realistically be hoped that the stress test will not reveal any major distortions. It is also noteworthy that many of the most vulnerable-looking EU banks will not be included in the stress test. Even so, in light of the implementation of IFRS 9, the results of the EBA stress test will be eagerly awaited by market participants—and unfortunate surprises cannot be ruled out. Commencing September 30, 2018, credit institutions are obliged to report comprehensive information on their borrowers and their respective default probability to the competent national central bank on the basis of (ECB) Analytical Credit Dataset Regulation, AnaCredit. The regulations provide for the establishment of a central European credit register, aiming to increase cross-border harmonization of the reporting system. AnaCredit provides for a revised approach of data collection at the individual loan level (loan-by-loan). A timely, flexible and needs-based evaluation of gathered data is implemented at various aggregation levels. For loan amounts to legal persons exceeding €25,000, institutions shall report comprehensive information on the borrowers' existing risks and granted securities. The reporting obligation extends to all credit types except derivatives. To ensure a uniform and effective application of the AnaCredit reporting system within the EU, the ECB has published the AnaCredit-Manual. National central banks are expected to transmit data sets six months prior to the first ECB reporting. Deutsche Bundesbank stipulated that, on a national level, credit institutions subject to German reporting obligations must make a first transmission of master data of contracting parties for the reporting period ending January 31, 2018. Initial credit master data and dynamic credit data transmission to the ECB is required for the reporting period ending March 31, 2018. In September 2017, the EU Commission recommended measures for the redistribution of responsibilities between the three European Supervisory Authorities (ESAs)—the European Securities and Markets Authority (ESMA), the EBA and the European Insurance and Occupational Pensions Authority (EIOPA). The aim of the proposal is to improve the mandates, governance and funding of the three ESAs as well as the functioning of the European Systemic Risk Board. This shall ensure stronger and more integrated financial supervision across the EU. The implementation of the proposal requires amendments to a series of directives and regulations, including MiFID II/MiFIR and the benchmark regulation. As the legislative procedure on the reform of the European system of financial supervisors is expected to be completed by 2019, this year will be a decisive one for the European Parliament and the Council to discuss and agree on the proposals. Major political events will likely influence developments in financial regulation this year. With Germany close to forming a coalition government. Italian parliamentary elections will take center stage, while the ongoing Brexit negotiations could have a huge impact on banks and financial service providers and on the entire eurozone. The elections in Italy, the third - largest economy in continental Europe, will take place in the spring of 2018. With the parliamentary elections approaching, the situation could become more tense for banks, investors and creditors. In addition to slow economic growth and weak labor market figures, the country is burdened by high debts—a fertile ground for populist and anti-European parties. It is, however, the ongoing Brexit negotiations that will shape financial markets in 2018. Brexit has the potential to trigger significant market distortions, especially in the financial sector—as the prospect of a hard Brexit without transitional measures ensuring mutual market access is becoming ever more likely. During the course of this past year, several banks have announced that they will be strengthening their presence in the Eurozone—partially at the expense of London—and have already taken the first steps to move staff to the eurozone. If no significant progress in the negotiations between the UK and the EU is made, many financial institutions will be forced to fall back on their emergency plans for a hard Brexit. Many banks will then have to apply for a European banking license. ECB expects banks to submit license applications by the end of the second quarter of 2018. ECB has repeatedly emphasized that central functions, such as risk management and internal auditing, must actually be located within the EU. Empty shells will not be accepted by the supervisory authorities. All of this will play out in the run-up to European elections, which will take place in the first half of 2019. The time window for political decisions on the EU level is therefore rather narrow and will close again at the end of the year. Click here to download PDF of this article. Removing the sovereign-bank nexus should be a priority for policymakers before they press ahead with the European Banking Union. The European Commission (EC) regards the creation of a full Banking Union as an essential step in making the Economic and Monetary Union (EMU) more stable and resilient to shocks, while limiting the need for public risk sharing. For the EC, the establishment of a European Deposit Insurance Scheme (EDIS) is a critical measure on the road to achieving this. However, in 2016, the Council of the European Union (EU) called for more on risk reduction measures as a precondition for EDIS. Risk sharing and risk reduction go hand-in-hand and the close financial link between national banking systems and sovereign debtors—the so called "sovereign-bank nexus"—played a key role during the global financial crisis and subsequent eurozone sovereign crisis. Several steps have been taken since to enhance the resilience of both banks and sovereigns and to address the negative spill-over risks between the two, such as the creation of common supervisory and resolution powers. However, the preferential treatment of banks’ exposure to sovereign bonds under the EU’s Capital Requirement Regulation (CRR) so far remains unchanged. Some member countries led by Germany argued that the regulatory treatment of government bonds has to be amended as a precondition of EDIS to break the sovereign-bank nexus. Under current regulatory requirements, EU government bonds receive special treatment that applies inter alia to capital requirements and regulation on large exposures. Banks are required to back their holdings of instruments including government bonds with appropriate levels of equity. The capital requirements are commensurate with the underlying credit risk in line with the objective of ensuring risk sensitivity. Under the Standardised Approach, which relies on external credit ratings, exposures to EU governments are assigned a zero - risk weight. Thus, no equity capital is required for EU government bonds irrespective of the credit rating of an individual Member State. But the Internal Ratings Based Approach (IRB Approach), which relies on banks’ internal rating models, does not automatically result in a zero - risk weight for EU government bonds. Even so, banks using the IRB Approach are also allowed under CRR to assign a zero-risk weight. Firstly, CRR does not provide for a minimum probability of default for sovereign exposures relative to other asset classes. Secondly, the IRB Approach allows banks to apply the Standardised Approach for their exposures to EU government bonds and consequently apply the zero-risk weight. EU government bonds also receive preferential treatment when it comes to limits on large exposure. Under CRR, exposures to any counterparty are limited to 25 percent of the bank’s own funds in order to avoid risk concentration. However, EU government bonds are exempted from those large exposure limits, allowing a bank to hold government bond exposures that go beyond the stated threshold. The original rationale underpinning the special treatment of government bonds was the assumption that government debts are risk-free because a sovereign debtor is very solvent due to its power to raise taxes and other compulsory levies. 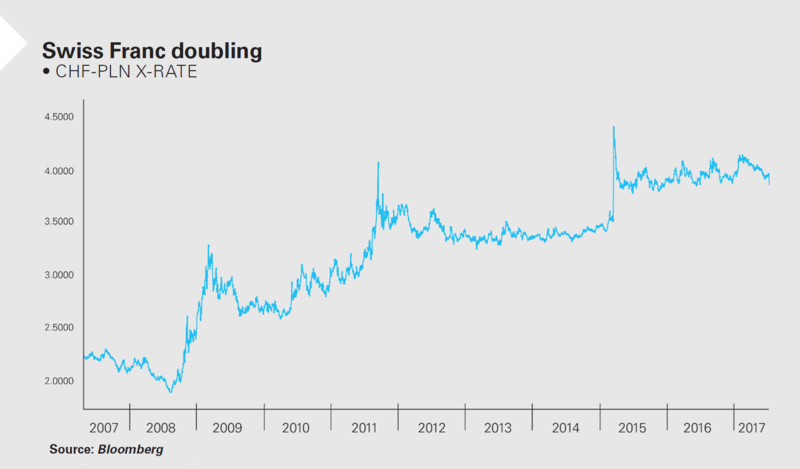 In addition, a country’s central bank is generally able to fulfil the government’s commitments denominated in the domestic currency on a potentially unlimited basis. However, under EMU, the fiscal authorities of Member States have no influence on the European Central Bank’s monetary authority. Furthermore, the "no bailout clause" in the Treaty of the Functioning of the European Union prohibits central bank intervention. While the European Stability Mechanism (ESM) was created to serve as a backstop for euro area countries experiencing, or threatened by, severe financing problems, it cannot fully escape the conclusion that sovereign debts in the euro area are subject to a credit risk. Another reason put forward to justify the current treatment of government bonds is their particular role in funding public expenditure in the interest of discharging public budgets. Following the financial crisis, a public debate has emerged about amendments to the regulatory treatment of government bonds to break the sovereign-bank nexus. Due to the potential market effects and the potential consequences for both banks and sovereigns, this issue is regarded as particularly sensitive. EC is awaiting the outcome of the Basel Committee’s review of the regulatory treatment of government bonds. However, the Committee has not yet reached a consensus to make any changes and decided in December 2017 to consult on certain ideas because longer-term thinking on this issue is considered necessary. The options include the introduction of positive risk weights for sovereign risk exposures. These risk weights could vary depending on the rating of the individual sovereign. Another option would be the introduction of sovereign exposure limits, which would force banks to have a more diversified portfolio of holdings. Both of these options would have advantages and disadvantages. Positive risk weights would boost capital buffers, thereby increasing the resilience of banks but also their funding costs, while vulnerable countries would pay higher interest rates in order to borrow. The introduction of exposure limits would encourage banks to diversify their portfolios away from domestic sovereign bonds. This would help remove distortion and increase incentives for sovereigns to reduce the risk profile connected to their own bonds. However, the attractiveness of sovereign bonds for banks would be reduced, and a large number of banks would be required to decrease their exposure to individual sovereigns and to readjust their sovereign bond portfolio. Therefore, in order to prevent market disruptions, any adjustment of the regulatory treatment of government bonds needs to be combined with appropriate transitional arrangements such as a grandfathering for the large exposure limits or increasing risk weights over a period of multiple years. It remains to be seen whether European policymakers will agree to amend the treatment of sovereign bonds under CRR in the interest of further reducing sovereign risks rather than maintaining the current preferential treatment with regard to potential large-market effects including possible reactions in interest rates. Reform of the regulatory treatment could be supported by some financially strong Member States, such as Germany, in order to reduce the level of sovereign risks on bank balance sheets and thus cut the sovereign-bank link. Conversely, countries that would be particularly affected by an amendment of the regulatory framework for government bonds, such as Italy, are likely to resist any changes of the current preferential treatment. However, in view of the current plan to decide on the roadmap to EDIS by June 2018 and the ongoing discussions of the Basel Committee, it is uncertain if amending the regulatory treatment of government bonds will still be considered a precondition for EDIS. With fintechs attracting increasing interest from venture capitalists, growth in the M&A activity and partnerships with incumbents, 2018 is shaping up to be the year of the regulators. Following a public consultation last year, the European Commission is expected to announce its fintech action plan in February 2018 with a remit to create a more competitive and innovative European financial sector. The European Commission indicated that it will focus on three core principles—firstly, to enable innovative business models to reach EU scale through technology neutrality so that the same rules are applied to traditionally sold products and services (e.g., via branches) as those sold digitally; secondly, to support the uptake of technological innovation in the financial sector through proportionality so that the rules are suitable for different business models, size and activities of the regulated entities; and thirdly, to enhance the security and integrity of the financial sector to ensure transparency, privacy and security for consumers. It remains to be seen how these will be translated into policy initiatives and legislative actions. It will be particularly interesting to see which measures the European Commission will propose in order to reduce barriers in the single market for fintechs, e.g., by proposing streamlined authorization and registration regimes for fintechs in EU countries, or EU-wide regulatory sandbox regimes. The European Banking Authority (EBA) identified authorization and sandboxing regimes also as a possible area of future work in its fintech discussion paper. Data security and cybersecurity concerns were top of the agenda in the consultation, and distributed ledger technology (DLT) is also a point of attention, although it remains to be seen whether this will result in EU-wide regulatory action, or rather in "softer" measures such as the setting up of observatories on the topic and the development of best practices. In February 2018, the European Commission announced the creation of a EU Blockchain Observatory and Forum to act as a location for building European expertise on blockchain. In the EU, based on the fintech mapping exercise and existing EBA work, the European Banking Authority identified (i) the impact on prudential and operational risks for credit institutions, electronic money institutions and payment institutions; (ii) the impact of fintech on the business models of these institutions; and (iii) the impact of fintech on the resolution of financial firms as possible areas of future work. We expect an increased focus on outsourcing arrangements and other aspects of fintech that can have an impact on operational risks and financial stability in 2018. Is enhanced oversight of the use of artificial intelligence (and its underpinning algorithmic infrastructure) required? For instance, should a system of initial and ongoing review of the technological architecture, including transparency and reliability of the algorithms, be put in place? What minimum characteristics and amount of information about the service user and the product portfolio (if any) should be included in algorithms used by the service providers (e.g., as regards risk profile)? What consumer protection challenges/risks have you identified with regard to artificial intelligence and Big Data analytics (e.g., robo-advice)? The European Parliament carried out a consultation on the future of robotics and artificial intelligence. The results of the consultation will feed into the forthcoming European Parliamentary Research Service’s Cost of Non-Europe on Robotics and Artificial Intelligence Report, and help the European Parliament to address the ethical, economic, legal, and social issues arising in the area of robotics and artificial intelligence for civil use. We expect further scrutiny by EU and national regulators of the application of AI in general, as well as in the specific fintech context in 2018. It will be interesting to see whether the developments in this area will be limited to "best practices" and soft law recommendations, or will move beyond that to prescriptive, hard law measures. Fintech regulation remains to some extent a national patchwork of various regulations, also within the EU. It will be interesting to monitor whether national regulations adopt innovative "fintech-friendly" measures to profile themselves as the jurisdiction of choice for forward-looking financial companies. By way of example, France adopted a pioneering regulation aimed at creating a formal legal framework for the use of blockchain technology for the issuance and transfer of unlisted securities. A further implementing decree will need to be introduced by July 1, 2018. France’s finance minister, Bruno Le Maire, said at the end of 2017 that he will propose that the G20 group of major economies discuss regulation of the bitcoin virtual currency when it meets in April. The German finance minister, Peter Altmaier, has expressed his support for this proposal, which will include the risks of speculative activities and fraud. Le Maire also instructed Jean-Pierre Landau, a former French central bank governor, to further investigate the topic of cryptocurrencies and to propose guidelines for the further development of regulation on the topic. Any resulting regulation must be aimed at avoiding tax evasion, money laundering and the financing of criminal activities and terrorism. These developments are linked to an increased regulatory focus on cryptocurrencies in other parts of the world, such as China and South Korea. 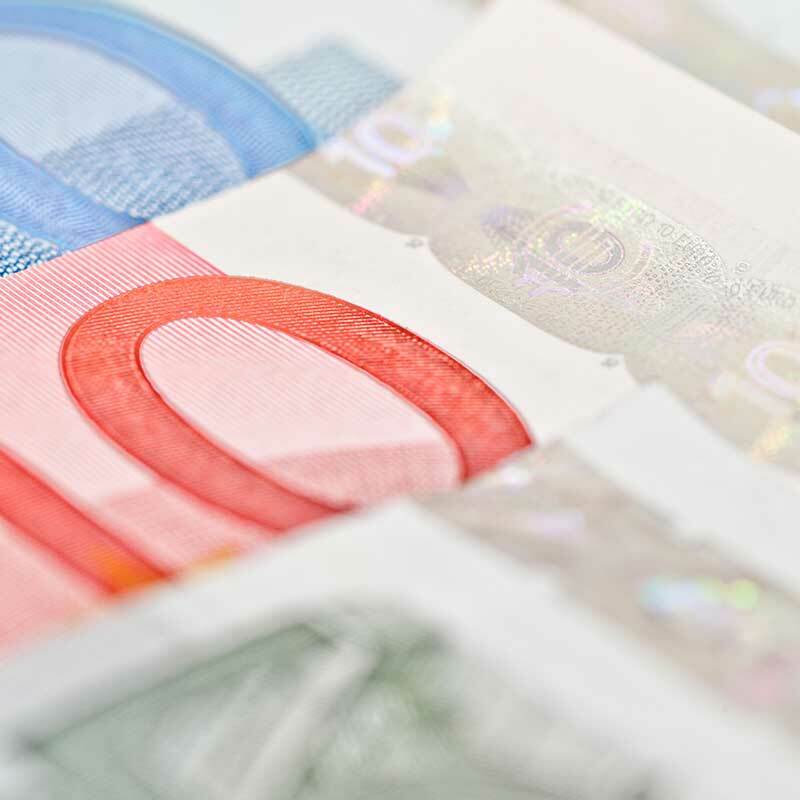 After lengthy discussions, the European Parliament and the European Council reached an agreement regarding the amendment to the Anti- Money Laundering Directive, initially proposed by the European Commission in July 2016 (AML 5). The text still needs to be officially endorsed by the Council and the European Parliament before its publication; parliament and council will be called to adopt the proposed directive in the first reading. The publication is expected towards the middle of 2018, with implementation expected by the end of 2019. AML5 will extend the scope of application of the existing EU anti-money laundering regulations to virtual currency exchange platforms and custodian wallet providers. Virtual currency exchange platforms and custodian wallet providers will have to apply customer due diligence controls, ending the anonymity that could be associated with such exchanges. For exchanges and service providers already complying with stricter rules applicable in the US or in other jurisdictions, the AML5 requirements will not herald a significant change to their business practices, but rather a need to fine-tune and to be prepared for regulatory enforcement. For other market participants, AML5 will introduce tougher standards, which they will need to start preparing quickly for or risk falling behind. In November 2017, the European Securities and Markets Authority (ESMA) issued two statements on Initial Coin Offerings (ICOs), one on risks of ICOs for investors and another on the rules applicable to issuers. ESMA stated that "it has observed a rapid growth in ICOs globally and in Europe and is concerned that investors may be unaware of the high risks that they are taking when investing in ICOs. Additionally, ESMA is concerned that firms involved in ICOs may conduct their activities without complying with relevant applicable EU legislation". The ESMA statement is confirmation of the idea that ICOs are an "unregulated" form of fundraising is indeed misleading. Instead, these operations require a careful assessment in light of various existing regulations, including applicable existing securities regulations. In the United States, the Securities and Exchange Commission and the US Department of Justice have indicated that they are actively scrutinizing ICOs, with the SEC starting to bring a number of charges. It remains to be seen whether EU regulators will follow this lead. The regulation of ICOs is a patchwork. Within the EU, there is no fully harmonized securities regulation, so there is room for diverging approaches. We believe it will be important to continue to monitor the diverging regulatory approaches in the relevant jurisdictions, and it will be interesting to see whether some jurisdictions will develop as "safer" harbors for these types of transactions. Finally, as the General Data Protection Regulation (GDPR) will formally come into force in the EU on May 25, 2018, the interaction with other regulations (such as PSD2) and fintech activities will be an important area to follow. Virtual currency and blockchain (VC&B) technology are becoming an important component of the global financial system. Although VC&B were founded on a non-governmental philosophy, the technology is steadily gaining legitimacy. Global interest in Initial Coin Offerings (ICOs) may have reached a fever pitch last year, but 2017 was also memorable for development of the legal framework that surrounds the use of VC&B, particularly in the US. But the development and legitimization of VC&B also gained momentum in other jurisdictions around the world. Governments are not only building the legal framework for the commercial and financial use of VC&B, but they are also adopting blockchain-based applications for their own regulatory processes. While bitcoin developers and virtual currency purists may harbor strong views opposing government intrusion and legal formalities, the emerging legal framework is setting the stage for VC&B to be globally accepted in a way not envisioned even a few years ago. From mainstream consumers to investors, banks and fintech developers, all groups looking to use or develop VC&B products and services can draw comfort from the fact that a legal framework is coalescing, while uncertainty surrounding blockchain technology is disappearing. When the pseudonymous Satoshi Nakamoto published Bitcoin: A Peer-to-Peer Electronic Cash System on October 31, 2008, it is unclear whether he/ she envisioned a system designed to alter the role of trusted third parties and government regulators in financial transactions, let alone restructuring the legal framework of the traditional financial system. Yet, the blockchain or DLT (distributed ledger technology) technology that underpins bitcoin’s defining features—trustless, distributed and immutable—did not take long to migrate to a spectrum of other ubiquitous applications. While change came rapidly, it was not uneventful. Early on, Bitcoin was often associated with illicit transactions, due in part to the impression that virtual currencies are completely unregulated. While that was initially the case, over the past several years regulators have been creating a legal framework for VC&B. Global initiatives have focused on both the commercial use of VC&B, as well as the use of blockchain technology by governments. Prior to 2017, there was limited federal guidance relating to VC&B. In March 2013, the Financial Crimes Enforcement Network (FinCEN) issued guidance that defined virtual currency and interpreted the Bank Secrecy Act (BSA) as applying to exchangers and administrators of virtual currency. Soon after, the US Securities and Exchange Commission (SEC) warned about the use of virtual currencies in the context of Ponzi schemes. A year later, the IRS determined that virtual currency is treated the same as property for federal tax purposes. In a September 2015 enforcement order, the US Commodity Futures Trading Commission (CFTC) defined virtual currency as a commodity under the Commodity Exchange Act. The most notable VC&B development of 2017 was the SEC’s investigation of the DAO—a decentralized autonomous organization built on the Ethereum Blockchain. The Ethereum Blockchain, like the Bitcoin Blockchain, is processed by a distributed network of computers that are compensated with ETH, the Ethereum currency, for their efforts. While the DAO operated on the Ethereum Blockchain, it had its own virtual tokens (DAO Tokens) that could be used only within the DAO structure. Its developers capitalized the DAO by launching an ICO that allowed investors to use ETH to purchase 1.15 billion DAO Tokens (worth approximately US$150 million). On June 17, 2016, an attack exploited a flaw in the DAO protocol and diverted more than one-third of the ETH from the DAO’s Ethereum address to one controlled by the attacker. The attack triggered significant fallout within the VC&B community and ultimately led to the SEC investigation. While the SEC ultimately decided not to pursue enforcement action, it issued a report of investigation last June saying that that federal securities law may apply to ICOs. Specifically, the SEC determined that DAO Tokens are securities under the Securities Act of 1933 (Securities Act) and the Securities Exchange Act of 1934 (Exchange Act). As such, it determined that the DAO ICO was a securities offering that should have been registered under federal securities laws. In addition, the SEC noted that online platforms that traded DAO Tokens violated section three of the Securities Act by failing to register as securities exchanges. The SEC stressed that its findings would apply to any virtual coins or tokens offered or sold through an ICO with similar facts and circumstances. US agencies have also played their part in the development of VC&B. In July 2017, the US General Services Administration hosted the first US Federal Blockchain Forum in connection with its Emerging Citizen Technology program. Teams from 27 federal agencies submitted potential cases for blockchain technology use within their organizations. In October, the US State Department hosted the [email protected] Forum and discussed the potential for using blockchain technology to boost transparency and accountability within its own department. 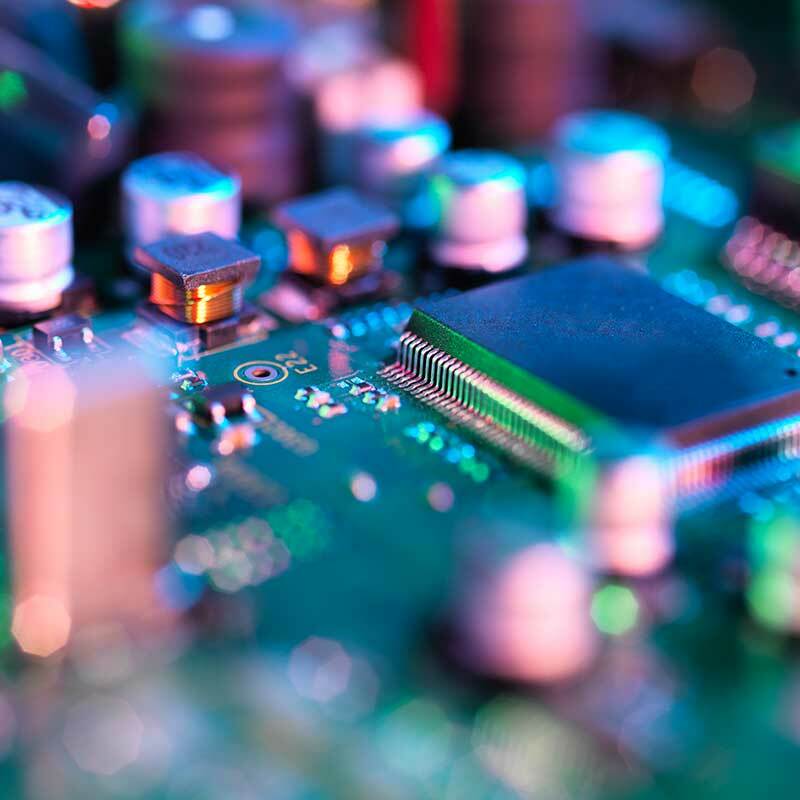 Meanwhile, the Federal Trade Commission (FTC) continued its efforts to promote the use of blockchain technology in consumer-facing products and services at its third annual FinTech Forum in March. Other US agencies embraced the possibility that blockchain technology could improve the security of their information-sharing activities. These included proposals and presentations to use blockchain technology to manage and track physical and digital assets, record internal transactions, verify identities, reconcile internal databases and increase interoperability. For example, the US Food and Drug Administration (FDA) formed a joint initiative with IBM Watson Health to research methods for secure, efficient and scalable exchange of health data using blockchain technology. In October 2017, the Centers for Disease Control and Prevention signed an agreement with IBM to expand the FDA initiative and develop a system to use health data on a blockchain to track disease outbreaks. The Department of Homeland Security, National Aeronautics and Space Administration, the National Institute of Standards and Technology, and the US Department of Veterans Affairs also began to explore the possibility of adopting blockchain-based solutions in 2017, while the US Congress also got involved with the formation of the Congressional Blockchain Caucus to advance public policy on blockchain development. The full embrace of blockchain by US lawmakers and agencies bodes well for the VC&B ecosystem. The US was also active at the state level, including completion of a draft Uniform Regulation of Virtual Currency Business Act (Uniform VCBA) by the Uniform Law Commission (ULC) in July 2017. While US states are not bound by the model law, it is intended to be used as a template for state legislatures seeking to enact virtual currency legislation. The existence of a Uniform VCBA greatly increases the likelihood of a consistent regulatory framework for virtual currencies across all states. The ULC effort reflects information from the New York State Department of Financial Services (NYDFS) BitLicense Regulatory Framework, as well as the Conference of State Bank Supervisors (CSBS) Model Regulatory Framework for virtual currency activities. The Uniform VCBA focuses primarily on the licensing requirements for companies that host virtual currency exchanges or provide services that involve the transmission of money. The Uniform VCBA would require a licensee to maintain compliance programs that include procedures to prevent fraud, money laundering and funding of terrorist activities. Each US state legislature may consider the Uniform VCBA for adoption, either with changes or as it stands. Prior to the approval of the Uniform VCBA, a handful of states, including New York, Oregon and Tennessee, enacted legislation defining virtual currency and requiring money transmitters dealing in the exchange of US dollars with virtual currencies to obtain licenses. In 2017, a number of other state legislatures proposed bills to regulate VC&B, as well as to draw VC&B businesses to their jurisdictions. Perhaps the most important state initiative was from Delaware, which amended the Delaware General Corporation Law (DGCL), to allow Delaware companies to maintain shareholder information on a blockchain. Further, Delaware corporations using DLT for their stock ledgers can use that as the basis for their required investor communications. The Delaware law, which became effective August 1, 2017, marks a significant step forward for the assimilation of blockchain technology into corporate law because it will allow companies to take advantage of DLT for trading without having to maintain duplicate records for corporate law compliance. Supporters of the amendment believe it will keep Delaware at the forefront of corporate law, and that blockchain will improve transparency, reduce settlement times and, thus, will be beneficial to small and large investors alike. Arizona, Nevada and Vermont also passed laws promoting the use of VC&B and DLT. In March, Arizona enacted a law that defines and supports blockchain technology for public use. In June, Nevada enacted a law recognizing the legality of smart contracts and prohibiting the state from imposing taxes or fees, or other requirements on the use of VC&B. That same month, Vermont implemented a law providing for broader business and legal application of DLT. While not enacting legislation, Illinois was also active, announcing a partnership with identity solutions leader Evernym to use blockchain technology for a birth registration pilot. While several states passed or proposed stringent licensing regulations on VC&B, other states took a different tack. For example, in July, Connecticut revised its money transmitter licensing law to require companies to obtain a license to engage in transmissions involving virtual currency and established requirements for licensees that store or maintain control over other persons’ virtual currency. By contrast, in June, New Hampshire enacted a law exempting companies dealing in VC&B from registering as money transmitters. It is clear that state legislators are seriously considering VC&B regulation but frustratingly for developers and users, there is significant variation among state laws. It remains to be seen whether states will adopt the Uniform VCBA. Virtual currencies are by nature borderless, and the rapid growth of VC&B use is an international phenomenon. Bitcoin, for example, has come to rely on mining pools concentrated mostly in China. Governments and regulators in many countries are simultaneously exploring the benefits of VC&B and providing guidelines for its commercial use, all while grappling with the technology’s ability to facilitate cross-border financial crime. Australia has been a leader in adopting VC&B and applying DLT, the underlying technology, to its traditional financial system. In 2016, the Australian Stock Exchange (ASX) became the first major securities market to begin testing DLT as a potential replacement for existing settlement systems. During 2017, ASX began running the prototype under the supervision of the Australian Securities and Investments Commission (ASIC), and is expected to announce its decision to move forward with the replacement. ASIC published Information Sheet 219 (INFO 219) in March 2017, which provided guidance to companies seeking to use DLT to operate market infrastructure or provide financial services. INFO 219 provides six categories of questions that ASIC will use to evaluate any proposed use of DLT. Together, these questions form an assessment tool that firms can use before approaching the regulator in the hope that ASIC will be able to respond more quickly and efficiently. In September 2017, ASIC published Information Sheet 225 (INFO 225) to address the legal status of ICOs in Australia. Although it did not stem from a possible enforcement action as ICO guidance did from its US counterpart, INFO 225 addresses many of the same issues. The ASIC notes that, depending on characteristics of a particular offering, an ICO could be considered as a share offering, a derivatives transaction, or a managed investment scheme. Under Australian law, each of the above are defined as a financial product and the platforms that enable investors to buy and sell such coins would need to hold an Australian market license. Australia is also supporting VC&B development by actively studying and promoting potential uses of DLT. In May 2017, the Australian National Innovation Science Agenda and the Treasury sponsored two reports by the Commonwealth Scientific and Industrial Research Organisation (CSIRO). The first report focused on case studies for DLT implementation to identify current limitations and make recommendations. The second report highlights where Australia intends to take DLT over the longer term. In Distributed Ledgers: Scenarios for the Australian economy over the coming decades, CSIRO frames the discussion around what the economy and the world might look like in 2030. Australia views DLT as essential to its future prosperity and competitiveness, and the country believes that a strong partnership between the government and private sector is the only way to fully develop the technology. In September 2017, the European Central Bank’s Advisory Group on Market Infrastructures for Securities and Collateral released a report on the potential impact of VC&B on harmonization and integration. The ECB report covers three categories where DLT could be implemented—financial market infrastructures; securities settlement and related services; and security and data protection. The ECB report encourages further development of DLT and sees a positive long-term impact from VC&B. It also highlights the potential for DLT to reduce settlement times, streamline collateral management, improve the cyber resilience of financial networks, and develop tokenized digital identities for strengthening AML systems. In October, the Monetary Authority of Singapore (MAS), one of the leading international regulatory proponents of the opportunities presented with VC&B and DLT, jointly announced with the Association of Banks in Singapore (ABS) that a consortium they are leading through their Project Ubin had "successfully developed software prototypes of three different models for decentralized inter-bank payment and settlements with liquidity savings mechanisms." The project uses DLT for clearing and settlement of payments and securities, and incorporates three software models that are among "the first in the world to implement decentralized netting of payments in a manner that preserves transactional privacy." In 2017, a number of international organizations also moved toward establishing standards for VC&B and the development of DLT. In late 2016, the International Organization for Standardization (ISO) established Technical Committee 307 to develop standards for blockchain and DLT. The inaugural meeting of the Technical Committee was held on May 24, 2017, in Sydney, Australia, and was attended by representatives from more than 45 countries. Of these, 25 participating countries designated ISO/AWI 22739 as the first standard to be developed to establish uniform terminology and concept descriptions. Although this is a relatively prosaic step, it represents a dramatic change in perception for VC&B. International organizations are working to bring DLT into the legal mainstream less than a decade after Bitcoin’s emergence as an alternative to the traditional financial system. In addition to the Terminology working group developing ISO/AWI 22739, the Technical Committee has five subcommittees focused on: (1) reference architecture, taxonomy and ontology; (2) use cases; (3) security and privacy; (4) identity; and (5) smart contracts. The goal is to develop standards that are "robust enough to provide guidance to stakeholders and potentially be referenced by regulators in policy," but are technical and "exclude matters pertaining to the law in the development of standards for smart contracts, privacy, security and identity." The European Parliament also sought to address VC&B issues during 2017. An in-depth analysis published in February 2017 by the Scientific Foresight Unit (STOA) of the European Parliament Research Service sought to identify how blockchain technology would impact the Member States at a societal level. STOA identified the potential for DLT to improve everything from voting to tracking digital media online and from commercial contracts to supply chain logistics. In calling on the European Parliament to engage in anticipatory policymaking, STOA notes that, "the decentralized, cross-boundary character of blockchain raises jurisdictional issues as it seems to diffuse institutional accountability and legal responsibility in an unprecedented manner, rendering the need for a harmonized regulatory approach at the transnational level more pertinent compared with a local or regional one." 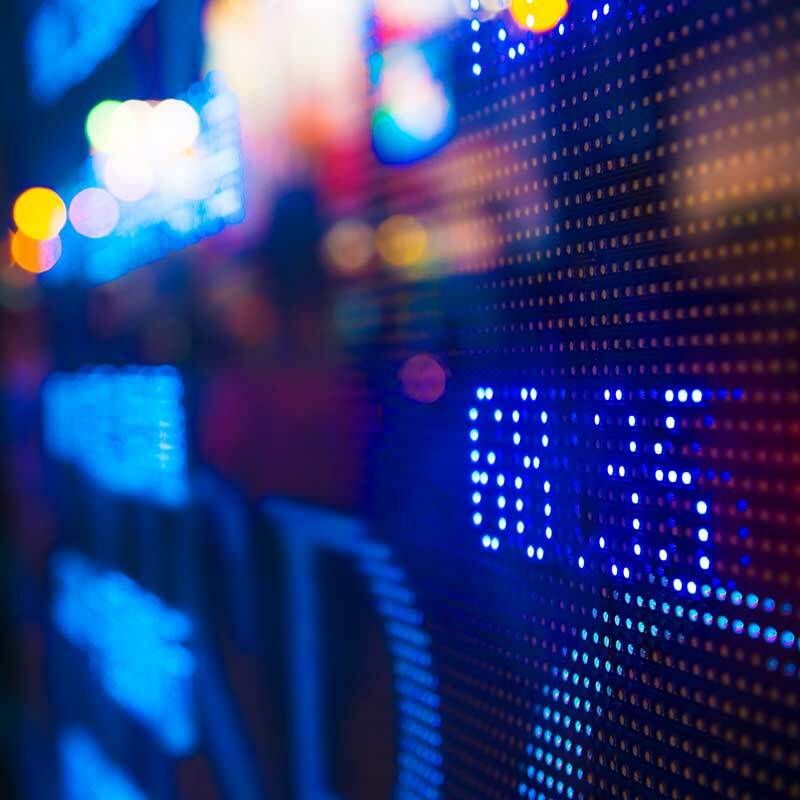 Following the SEC’s July Bulletin regarding ICOs, financial and securities regulators from many other countries issued their own guidance or alerts. The reaction is not surprising considering more than US$6 billion was raised by ICOs in 2017. Australia’s ASIC responded to rapid ICO expansion with detailed guidance for when an ICO would be regulated. In contrast, the National Internet Finance Association of China (NIFA) published a notice on August 30, 2017 warning of the risks associated with ICOs. Five days later, on September 4, 2017, through a joint notice interagency issuance, China effectively banned ICOs. The notice also banned the trading and exchange of tokens and coins between one another. Also in September, the UK’s Financial Conduct Authority (FCA) issued its own warning regarding ICOs, stating that "ICOs are very high-risk, speculative investments," and listing the risks associated with ICOs. The FCA noted that whether or not an ICO falls under its jurisdiction is a case-by-case determination. Similar bulletins were issued by other national regulators, including in Singapore, Canada and Hong Kong. In 2017, VC&B development and regulation had a number of important advances. Globally, regulators and international standard-setting bodies have ramped up efforts on VC&B, but many issues remain. And the potential for enforcement actions by financial crime prevention agencies remains untested. While the outstanding questions are important, businesses, financial institutions and governments that have been hesitant to launch VC&B initiatives should see encouraging signs. A regulatory framework has taken shape in 2017, and is providing a foundation for building a path to mainstream acceptance and legitimacy of DLT and the application of VC&B use cases. A raft of regulatory changes, both domestic and EU-related, is reshaping the Polish banking market. As the biggest economy in Central and Eastern Europe, any changes to its banking system will have an impact on the rest of the region. Here we explore some of the most important changes. 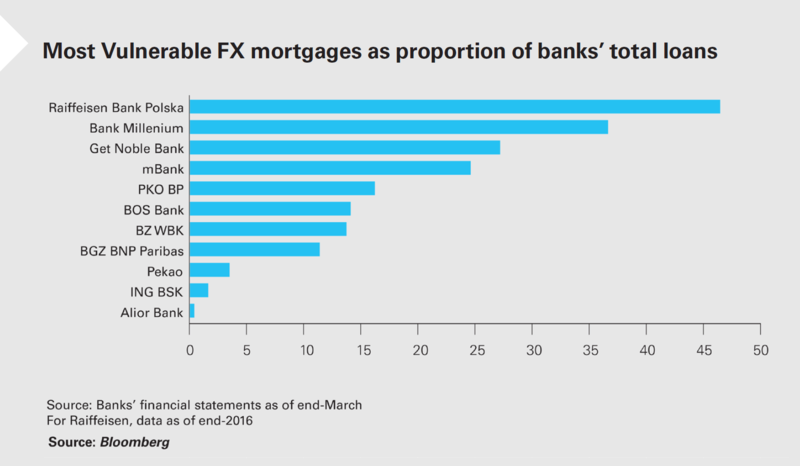 For the past few years, FX loans have been one of the most talked-about topics on the Polish economic and political landscape. According to the data of the Polish Financial Supervision Authority (PFSA) from July 2017, approximately 40 percent of the outstanding PLN 396 billion (approximately €94 billion) consumer mortgage loans granted by Polish banks are denominated in foreign currencies (mainly Swiss francs). During the mid-2000s, immediately after Poland’s entry into the European Union, there was a proliferation of mortgage loans denominated in foreign currencies due to significantly lower interest rates. Since then, the Polish Financial Supervision Authority has restricted the granting of new loans (since 2013 Recommendation S only allows banks to loan to individual customers in the currency in which the customer obtains the majority of his/her income). While both the current and previous governments have publicly indicated their willingness to introduce legislation that would relieve some of the burdens of FX loans (indeed going as far as proposing a forcible conversion of the existing FX loans into zloty-denominated loans), the only legislation passed to date is the 2015 Act on Assistance to Borrowers in Difficult Financial Situations who Took a Residential Loan (the "2015 Act"). The impact of the 2015 Act has been rather limited, as it only provides assistance to borrowers who are unemployed (with certain exceptions), have very low income or for whom the costs borne in connection with the loan exceed 60 percent of the income of their household. Furthermore, the duration of the assistance in the form of repayment of installments in an amount not higher than PLN 1,500 (approx. €350), per month by the state-run Bank Gospodarstwa Krajowego, cannot exceed 18 months. However, the changes in the regulatory approach did not affect existing loans. In the meantime, a significant increase in the value of the Swiss franc relative to the Polish zloty (while currently CHF 1 is valued at ca. PLN 3.6), in the heyday of CHF-denominated loans, CHF 1 was worth ca. PLN 2.00 combined with a reduction of the value of some of the real estate underpinning the mortgage loans and has resulted in significant problems for some borrowers whose installments are nearly twice as high as at the time of the conclusion of the loan agreement. At the same time, several banks have ended up with significant portfolios of potentially distressed assets. 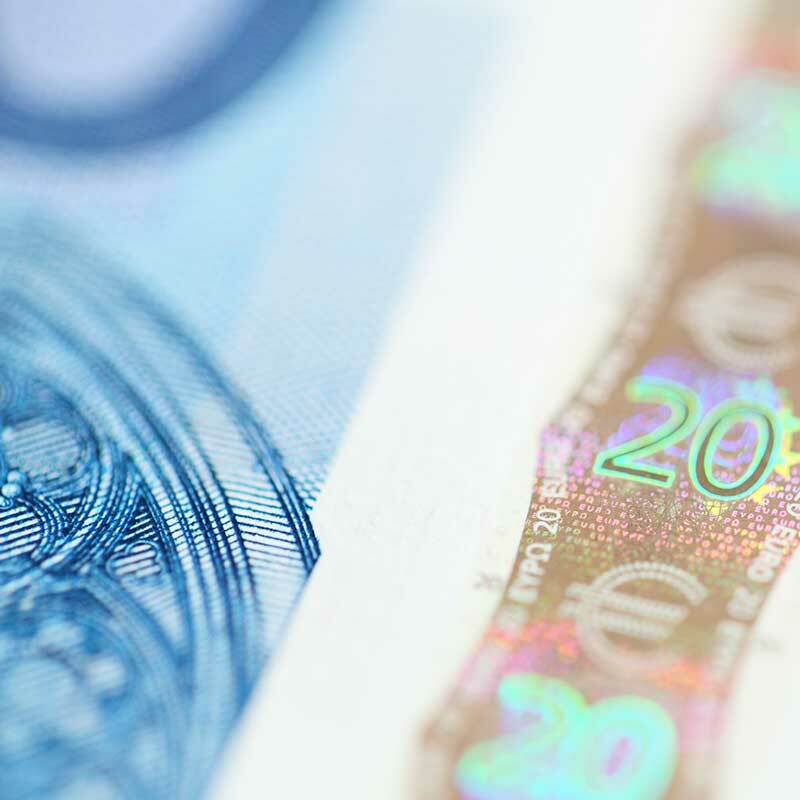 In the event of voluntary restructuring of an FX loan into a zloty loan, the Restructuring Fund would cover the difference between the balance sheet value of the FX loan prior to restructuring and the restructured zloty loan. While some observers say the above proposals are still not fully adequate, they are more far-reaching than the original legislation. In particular, the provisions that allow the Restructuring Fund to cover the "loss" of the lender resulting from the loan conversion could be a satisfactory solution for both lenders and borrowers. The PFSA is working on a new recommendation which, while not formally binding, would strongly compel banks operating in Poland to restructure FX loans on a voluntary basis and allow borrowers to convert them into zloty-denominated loans, which combined with the "loss coverage" provisions, could provide a long-term solution. Increase of the ability of pension funds to invest in covered bonds. From the perspective of the economic viability of an investment in covered bonds, the exemption of interest on covered bonds from withholding tax since the start of 2016 is a particularly welcome measure. Since the first international issue of Polish covered bonds in October 2016 by PKO Bank Hipoteczny S.A., the product has been a resounding success (all existing issues were significantly oversubscribed, and the first issue was oversubscribed by 200 percent). Given the overwhelmingly positive feedback, other big market players are looking at the possibility of opening mortgage banks, including ING, which has already obtained a license in January 2018, and Bank Zachodni WBK (Santander group), which is in the process of obtaining one. The benefits of the new legislation are self-evident. The creation of additional regulatory restrictions, such as mandatory overcollateralization and liquidity buffers along with new bankruptcy procedures, means that international investors now regard Polish covered bonds as a safe product. From a borrower’s perspective, increasing a mortgage bank’s ability to refinance mortgages (and consequently to increase their cover pool) while reducing the tax burden has made the product economically viable. The fact that several key players in the market (including non-Polish banks) are considering opening new mortgage banks is a clear indication that the market is destined to grow. In July 2017, a new act on mortgage credit and supervision over intermediaries and agents entered into force in Poland. The Mortgage Credit Act introduced a number of new rules for credit institutions granting mortgage loans, aimed at protecting borrowers who are consumers (the legislation does not affect loans granted to businesses). While the Mortgage Credit Act transposes Directive 2014/17/EU on credit agreements for consumers relating to residential immovable property into Polish law, it also introduces several concepts specific to the Polish market. First, the new Mortgage Credit Act formally codifies the restriction on the granting of FX loans first introduced in Recommendation S in 2013 by the Polish Financial Supervision Authority. According to the Mortgage Credit Act, a mortgage loan can be granted only in a currency or indexed to a currency in which the consumer gains most of his or her income or holds most of his or her funds or other assets. Second, the Mortgage Credit Act limits the ability to grant mortgage loans to banks (including EU credit institutions and Polish branches of non-EU banks) and credit unions. As a result, non-banking lenders will no longer be able to grant mortgage loans to consumers. Furthermore, the provisions of the Mortgage Credit Act introduce a register of credit intermediaries maintained by the PFSA, and also set out the scope of supervision over the economic activity of mortgage credit intermediaries and agents. The changes in the Polish banking sector are substantial, and they are hapenning at a great pace, but will they be good for the country’s economy? Only time will tell.